← How to rotate the page while converting url to jpeg? 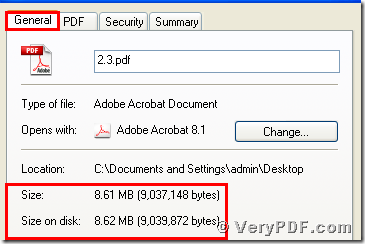 Have you ever met this question that your pdf size is large and occupy your computer memory? Do you want to save the space of your computer memory? All these problems that my workmates often meet.They have many pdf files and occupy the most part of their computer memory.This problem can lead to your computer run slowly. 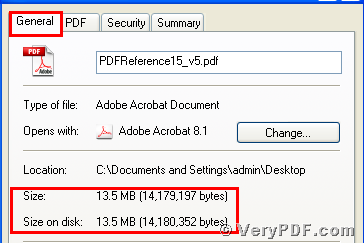 Here I will recommend the Advanced PDF Tools for you.Because it can fix these problems and let your computer run faster than before. 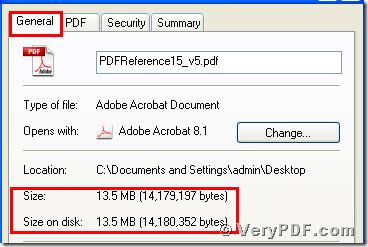 In order to help more people who have the same problems ,right now I will put an article to show you how to reduce pdf size by using the Advanced PDF Tools. 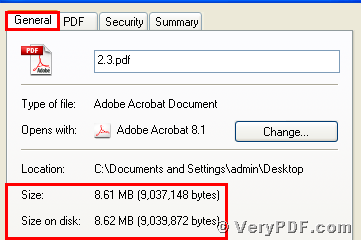 2,you need to double click the icon of the Advanced PDF Tools, then let this software run .When this software is opening, you need to drag your PDF file into this program.Later you will enter into the application interface.You can see the label pages like(Summary/Open actions/pages/Optimize/Image/Metadata/Custom fields/About),please click the label page“Optimize”,and find the title “Optimize setting”. You can select all option boxes or not ,it depends on your needs.Right now you need to save the change.Please look at picture 1. After looking at the two screenshots I think that you can obviously find the effect of the Advanced PDF Tools by these two screenshots,if you are interested in the Advanced PDF Tools,or you want to know more about how to reduce the pdf size,you can refer to user manual or visit http://www.verypdf.com/wordpress/ . This entry was posted in Advanced PDF Tools and tagged Advanced PDF Tools, pdf files, reduce pdf size. Bookmark the permalink.